In towns like Hartford, the wiring can be as old as the homes themselves. And the homes here can get very old indeed. That means the time may come when you need to think about reasons to upgrade your home’s outdated wiring system, and in fact you might want to consider such an upgrade sooner rather than later. In the first place, an older system may not be up to code. The kitchen and bathroom outlets may not be protected by GFCIs (Ground Fault Circuit Interrupters), and other violations may exist that go against the building codes. Those codes are in place to prevent a fire or similar electrical damage, so upgrading them is in everyone’s interests. All of that leads to an even bigger consideration: safety. Older wiring is usually less safe wiring, as wear and tear have reduced their integrity and safety. Contacts may be worn out, insulation may bet chewed on by rodents, and some parts may have just gotten too old to do their job, and so on. Electricians can replace individual components quite easily, but it may get to a point where upgrading the entire system simply makes more sense. Finally, an older system in an older house may not be capable of handling our modern electrical needs. Many older houses will have only one or two outlets per room – sufficient for sixty years ago, but incapable of meeting today’s workload. You can only place so many surge protectors and multi-plug expanders before the outlet itself becomes overloaded, a genuine safety hazard. Rewiring the house allows the electrician to add more outlets to better meet your power needs. If you’re discovered enough good reasons to upgrade your home’s lighting, talk to the experts at Electrical Connection. 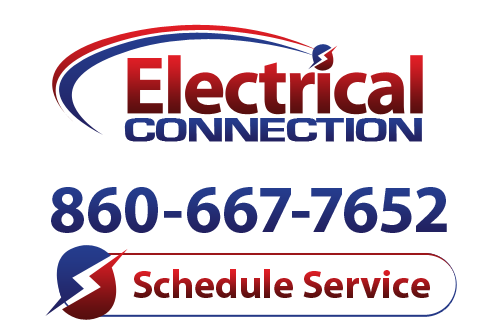 We treat Hartford wiring issues from simple outlet repairs to wholesale rewiring, and we do so with the innate knowledge of New England architecture that comes with years of experience in the area. Call us today to set up an appointment.